The City of the Saved houses every human being who ever lived... but some of its immortal Citizens need more. For the Remakers, one fiction above all exerts its fascination: a character existing in countless interpretations, many of them now recreated in the flesh and in business together as the Great Detective Agency. 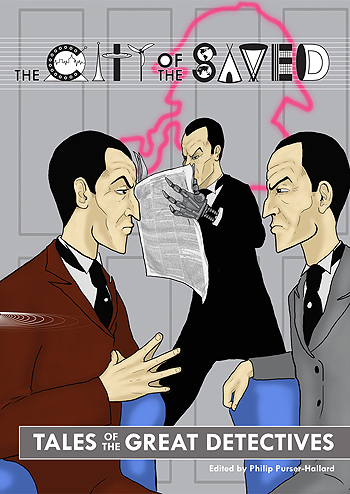 Tales of the Great Detectives is the third City of the Saved anthology from Obverse Books, and the first to feature the Great Detective Agency, as introduced in Of the City of the Saved.